Cornerstone has a well-established history of providing thorough and effective professional construction management services for a multitude of construction school projects. 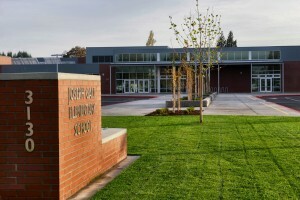 The team has 145 years of combined experience in K-12 public school construction in Oregon, having managed over 800 construction projects in Oregon valued at approximately $4.5 billion. Cornerstone has successfully managed 27 school construction bond programs for 23 school districts, and was re-selected by public agencies to work on additional K-12 projects six times. Our project managers completely understand the scope of work required of educational RFPs and have the resources, skills, experience, and time required to successfully complete projects. Whether projects consist of repairs and upgrades or new construction, work is done with commitment to staying within stated budgets and established timeframes. Cornerstone Management Group is committed to being excellent stewards of public monies; we strongly believe that it is our fiduciary responsibility to see that tax-payers get 100% value for their investment.